Can Phil Ivey Repeat As L.A. Poker Classic Champion? 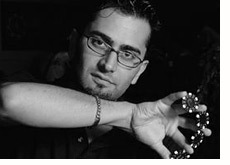 Antonio Esfandiari currently leads an absolutely stacked field after Day 2 of the 2009 L.A. Poker Classic main event. Esfandiari currently has a chip stack of around 405k after two days (and a few minutes) of play. Kofi Farkye is in second place with a stack of approximately 391k, while Mike Sowers in in third with 338k. 696 players entered into the main event, and there are currently 144 left in the field. There are four more days of play left in the event, with the final table scheduled to take place on February 26th. Given the current state of the economy, this year's turnout was certainly respectable. The first place finisher will receive $1.68 million dollars, while the second place finisher will receive $935k. The top 63 finishers will get paid. The turnout for this year's tournament (696) was actually higher than in 2008 (665). Just a testament to the resiliency of poker, even in the face of a shattered global economy. Phil Ivey is the defending champion of this event, and currently possesses a healthy chip stack. Can he repeat?